Two new ministers took oath at Governor House in Quetta on Saturday. Governor Abdul Qudoos Bizenjo administered the oath and Chief Minister Jam Kamal was present at the event. The two new ministers are Mir Asad Baloch of the BNP-Awami and Sardar Abdul Rehman Khetran of the BAP. The cabinet’s strength has gone up to 12 now, excluding the four advisers. Two ministers’ portfolios have also been changed. According to a notification, the ministers had earlier objected to the ministries they had been given. Sarfaraz Domki is no longer the health and culture minister and has been given the labour and manpower portfolios. 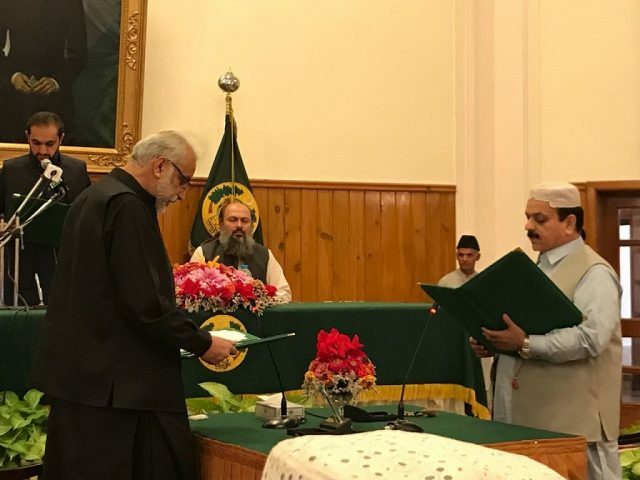 Sardar Saleh Muhammad Bhootani has been handed the local government and agriculture portfolios instead of law, parliamentary affairs and food.